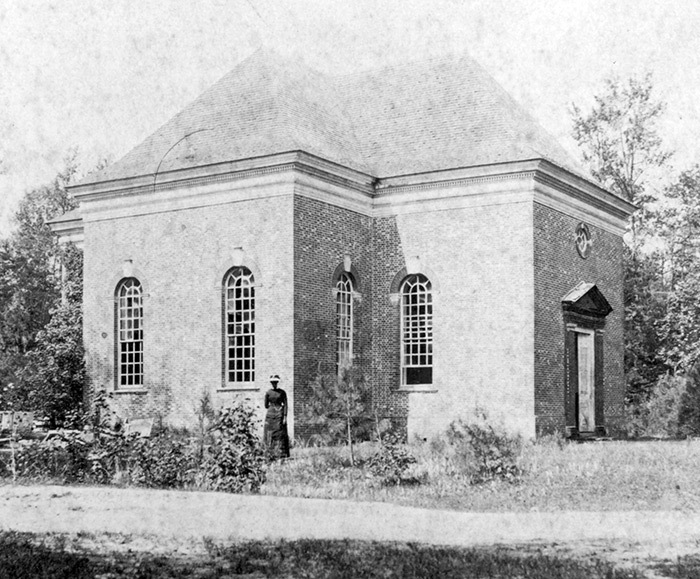 This circa 1884 image is the oldest known photograph of Christ Church. By the late 19th century Christ Church suffered from neglect and was used infrequently. Since 1958 the Foundation for Historic Christ Church has led preservation efforts at the National Historic Landmark site. The Foundation for Historic Christ Church invites the community to celebrate its 60th anniversary May 18 through 20. Historic Christ Church & Museum, 420 Christ Church Road, Weems will offer free admission for the museum and guided tours of the church from 10 a.m. to 4 p.m. Saturday and 1to 4 p.m. Sunday. Visitors also can tour the research library from 1 to 4 p.m. each day, where they can see a variety of interesting records related to Christ Church, Lancaster County and the Carter family, reported publicity volunteer Barbara Mait. From 4 to 6 p.m. Saturday, the Virginia Symphony Orchestra’s Chesapeake String Quartet will perform “From Beethoven to Borodin: Beloved Masterworks with the Chesapeake String Quartet.” Tickets are $25 and can be purchased at christchurch1735.tickeleap.com or at the door. Libations will be available during intermission, said Mait. American Evolution 2019 executive director Kathy Spangler will present the keynote address, “American Evolution: Stories from across 400 Years of Virginia History” at the foundation’s 60th annual meeting on Friday. For a schedule of weekend activities visit www.christchurch1735.org. The foundation formed in the spring of 1958 with a group of people who recognized the importance of preserving and sustaining Christ Church, which was constructed by Robert “King” Carter and completed in 1735. The friendship between Louise Dawe, wife of Grace Episcopal Church’s senior warden, and Helen Bullock, historian of the National Trust for Historic Preservation, sparked the mission of preserving the building to the highest standards while keeping it accessible to parishioners and visitors. A year after its formation, the foundation undertook archaeological investigations to uncover the original brick wall that enclosed the church. This began a tradition of research, preservation and education that continues to flourish, said Mait. From 1965 to 1975, the foundation carried out major preservation projects on the church’s doors, plaster walls, windows and stone steps. More recent projects include conservation of the church’s entablature, the Carter tombs and its 1897 slate roof. The foundation earned several awards for its preservation work, including a citation in 1971 for excellence in historic preservation from the National Trust for Historic Preservation. In 1975, the foundation received the Association for the Preservation of Virginia Antiquities’ Mary Mason Anderson Williams Award for outstanding work in historic preservation. For the 50th anniversary, a $2.1 million initiative resulted in a completely renovated Carter Reception Center that includes a 21st century museum, a newly built Chase Center for administrative services, a totally remodeled research room and extensive parking and visitor amenities to render the site more accessible to all, said Mait. Today Christ Church stands as Lancaster County’s only National Historic Landmark and one of America’s great buildings. Each year over 1,000 local students visit free to learn about architecture and life in colonial Virginia. The foundation also sponsors annual speaker series, concerts and other special events for the community. For the past 60 years, thousands of volunteers and supporters have given their time, talents and treasure to preserve this Northern Neck historic destination. Visit this weekend and be part of the 60th anniversary celebration.